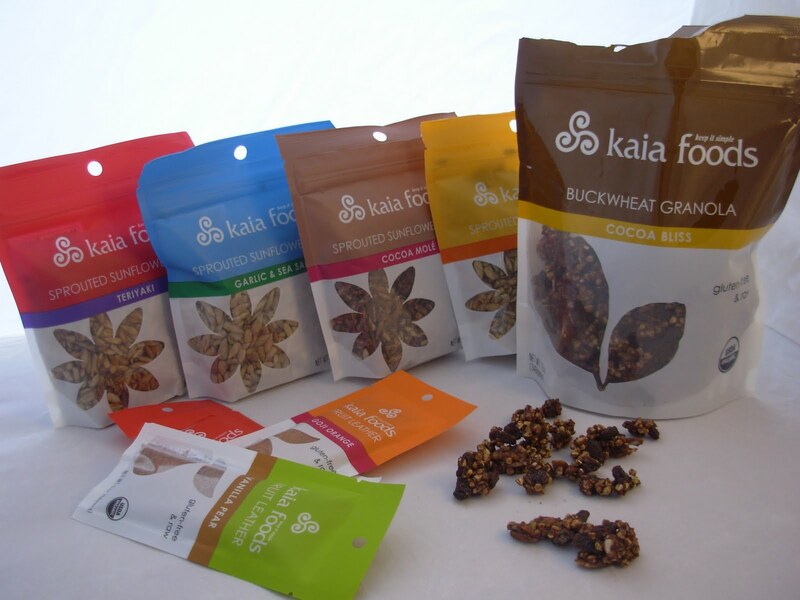 Hearty, nutritious, earthy, and unique are words I’d use to describe all of Kaia Foods’ products. Kaia (rhymes with “papaya”) is from the Sanskrit word for “body,” kaya, yet the owners spelled it like Gaia, for the Greek goddess of the earth. Hence, body and earth come together to depict the essence of Kaia Foods. Their name aptly describes their products. Whole foods are known to be good for our bodies and Kaia ensures they sprout, mix, and dehydrate all their products at low temperatures to maintain vital nutrients, which I actually taste in their products. It’s so nice to be able to not only share this information but know it’s true from my own tasting. Thank you, Nick Kelley, the man with the inspiration to leave the corporate world to launch a healthy, minimally-processed line, while of course having fun. 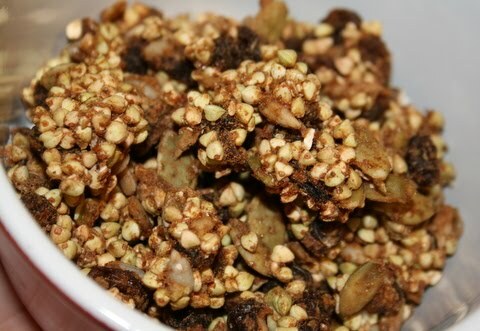 The granolas, specifically the Raisin Cinnamon Buckwheat Granola, was a favorite of my test team yet mine was the Dates & Spices Buckwheat Granola. I found myself munching it as a trail mix with the hearty dates, enjoying its perfect ratio of sweet to grain. The various flavors of sprouted sunflower seeds all were delicious. They were a perfect on-the-go snack, replacing the all-too-common roasted almonds or cashews I’ve become far too accustomed to. Nick and his team have really gone to lengths to ensure these products are to his exact specifications. He currently donates 1% of his sales to help fight hunger—to the The Hunger Project and United Nations World Food Program. You can learn more on their website. Good food, good purpose, and good company. Hey Tina glad to see you featuring these guys. They have GREAT granola. Sounds really wholesome, which always makes for a much better tasting food product! I love their sunflower seeds. The Teriyaki is sweet and salty. The Garlic and sea salt is very mild. Great in salads. The Sweet curry has a great curry taste. As far as the Fruit Leather goes. The Vanilla pear has perfect texture and sweetness. The Spiced apple is mild and perfect! The Lime ginger has a wonderful kick. You can really taste that lime rind.